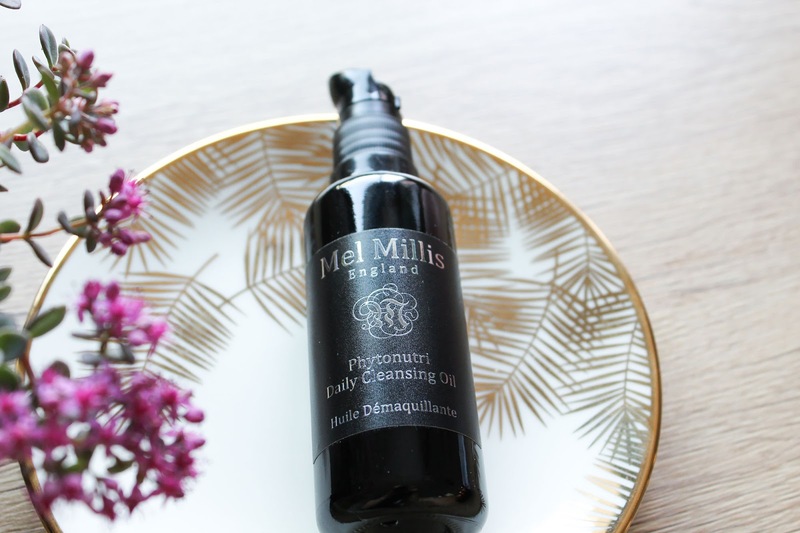 As you could see in this post I've been using quite a number of stunning products lately and the one that in my opinion really deserve a post is the absolutely gorgeous Mel Millis Phytonutri Daily Cleansing Oil*. This is a true stunner and I love it so much! Mel Millis artisan luxury skincare is based on its integrity to constantly strive in obtaining and using only the purest, freshest, nutrient rich, sustainably sourced, certified organic natural ingredients, only chosen for their individual ability to deliver exceptional, proven, effective results and not simply because of their organic status. 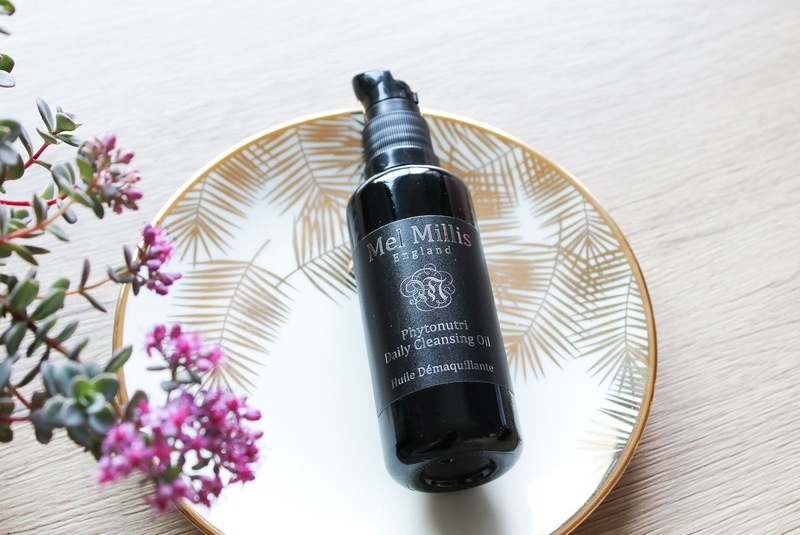 Their products are free from many ingredients that I prefer to avoid, like Petrochemicals, Synthetic Ingredients, Mineral Oil and more, and they are also vegan (with exception of one product, their MM Face Peel contains honey). Products are made in micro-batches, in the UK, without outsourced base formulas. I'm in love with their philosophy, their ingredients and the packaging. You are probably all sick of me talking about the flower seeds infused packaging that I planted (and made a video that is up on my Facebook page) and I'm patiently awaiting for the flowers to peek through. The Daily Cleansing Oil is suitable for all skin types and I have to say that my combination skin has been loving it. On the outside this product looks gorgeous and I just can't stop talking about those flower seeds in their paper packaging (you all know I love flowers and nature) and the inside is equally gorgeous. Probably more. Ingredient list is 100% certified organic which you know I love. This beautiful oil contains oils of Jojoba, Apricot, Avocado, Rosehip and Camellia. The oil is really quite lightweight and not greasy, and I really wouldn't mind using it as my daily facial oil. It beautifully cleanses and purifies the skin, removes excess dirt and makeup. I will say that you need a few seconds more to thoroughly dissolve mascara which is actually a good thing because the scent of this oil is divine. I don't know precisely what is it but it makes me so calm & relaxed, and uplifted, all at the same time. Aromatherapy is no joke and the blend of essential oils in this product are really just so gorgeous. Can't stop sniffing it. I love the ritual of cleansing and removing my makeup at night as it is, but with this cleansing oil the experience is on a whole different level. The blend of Rosemary, Lavender, Sweet Orange, Rose Geranium and Chamomile is truly wonderful. Some of these essential oils are also known for their anti-inflammatory, antibacterial and astringent properties, to leave skin feeling refreshed, uplifted and cleansed. Love. This beautiful cleansing oil also comes with organic muslin cloth which I wanted to include in the photos but unfortunately I'm not sure which one is it, because I have quite a few of them. Like it is with cleansing oils, I gently massage it into my skin, directly on top of my makeup, and just massage it for a while. Then I soak muslin or cotton cloth in warm water and gently wipe everything off. I always double cleanse my skin and sometimes I use it as a second cleanser but usually I use something else, lately the oil of choice has been the Pacific Northwest Body Oil* from Earthwise Beauty. Yes, I've been using their body oil as a second evening cleanser and it's been doing a good job. 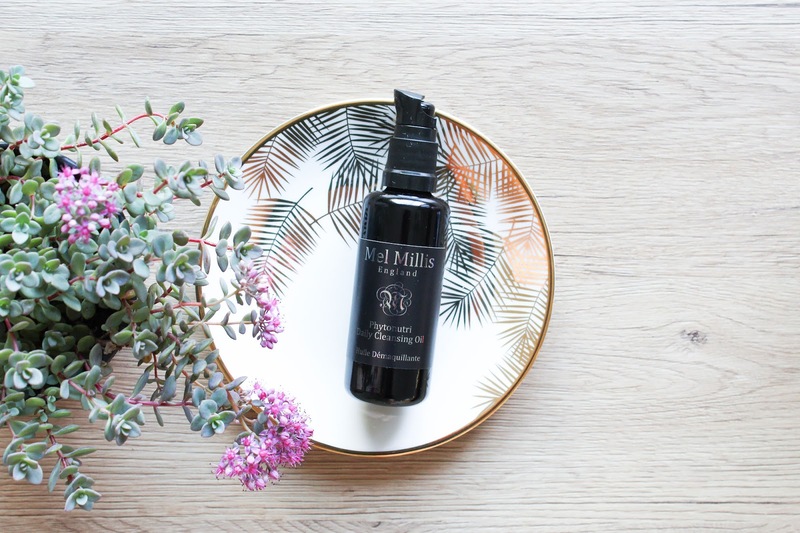 I got the Mel Millis Phytonutri Cleansing Oil on Love Lula. I highly recommend it.